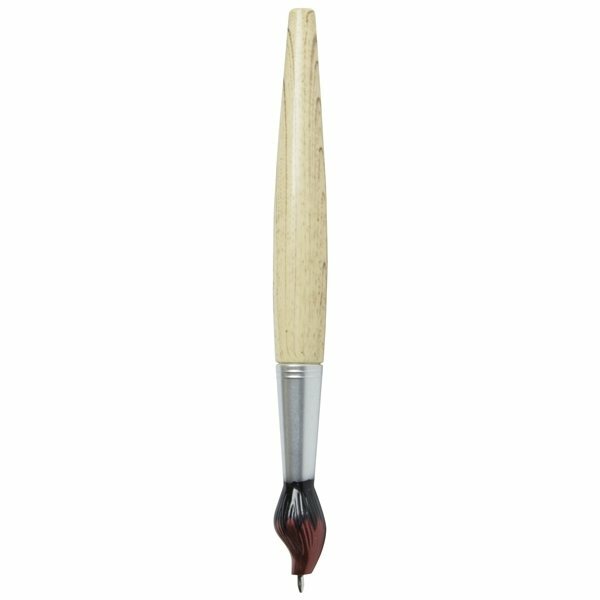 Get in touch with your creative side with the Custom Paint Brush Ball Pen. Not only is this customer voted "Top 100" item fun, but it is a handy giveaway that they'll keep for years to come. This show-stopping piece is sure to be a big hit at your next event! Standard pens and pencils are no match for the Custom Paintbrush Pen. Branded novelty paintbrush pens are a great marketing giveaway because they're attractive and bring a smile to people's faces. In fact, these paintbrush ballpoints tend to become a permanent fixture whenever they end up in a mug on someone's desk. 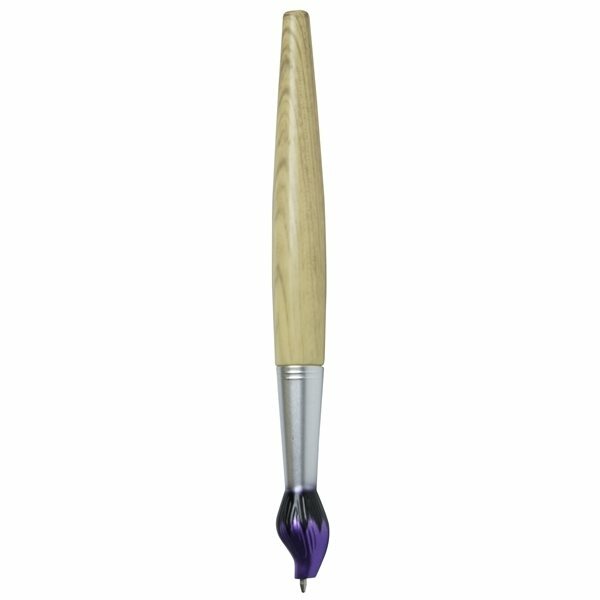 You don't need to be a promotional artist to make a lasting impression on your clientele with this custom paint brush pen. 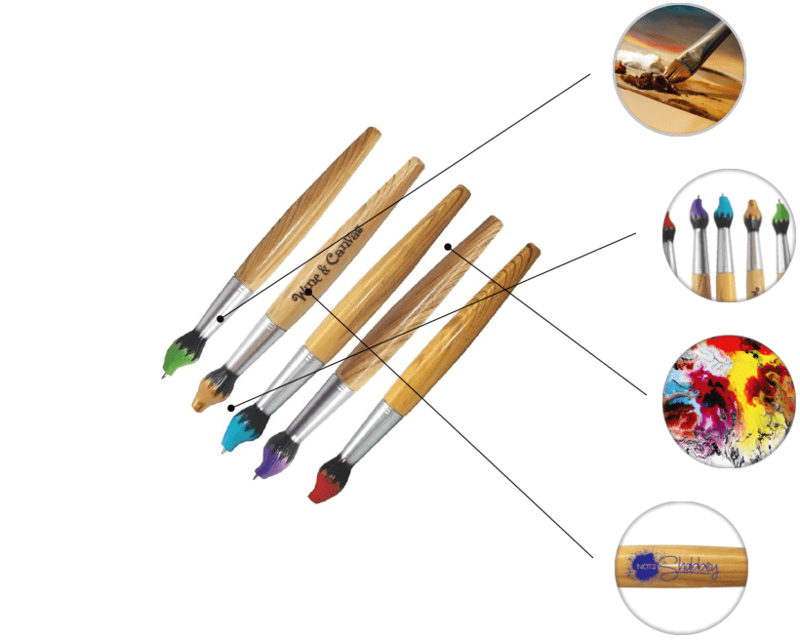 By investing in these unique pens shaped like paint brushes, you can put creative inspiration in the hands, and minds, of your future customers. 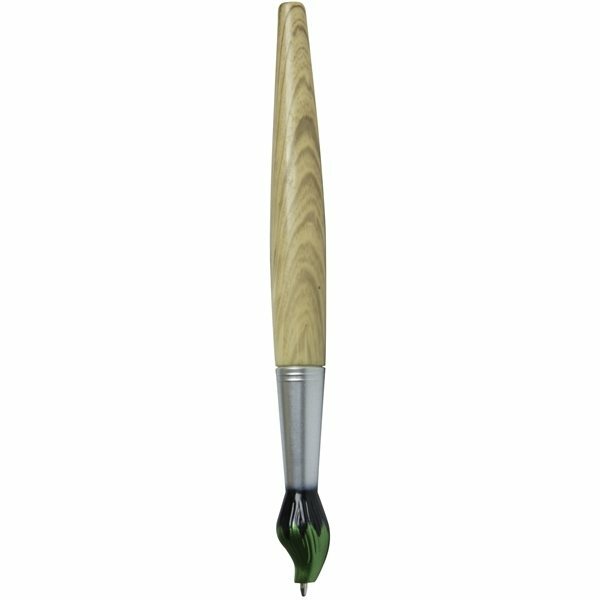 You don't need to be a promotional artist to make a lasting impression on your clientele with this Custom Paint Brush Ball Pen. 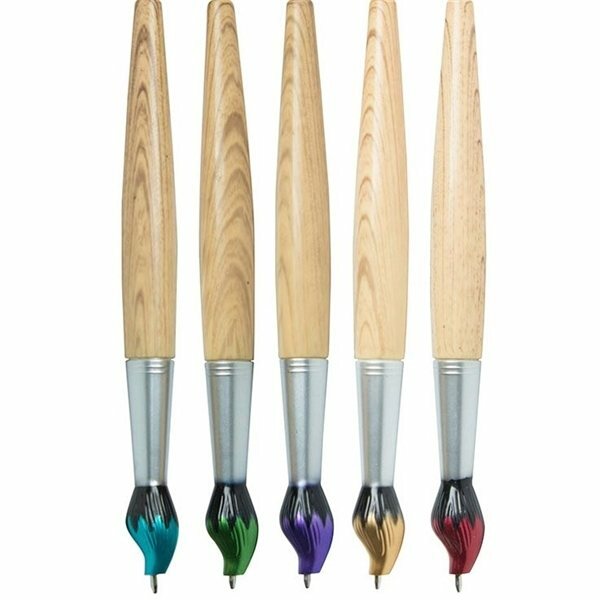 The Custom Paint Brush Ball Pen is shaped like an artist's brush, and appearing to be dipped in either gold, red, purple, green, or blue "paint". These promotional pens are perfect for promoting art programs and inspiring creativity. Customizable with your name and/or logo in your choice of twelve bright colors, these pens instantly grab the attention of young and old alike. The Custom Paint Brush Ball Pen is a great, cost effective marketing prize which will be perfect for your next community outreach or event. WARNING: Not intended for use by children or pets. May present a choking hazard to children under 3 years of age. Want to be an artist? 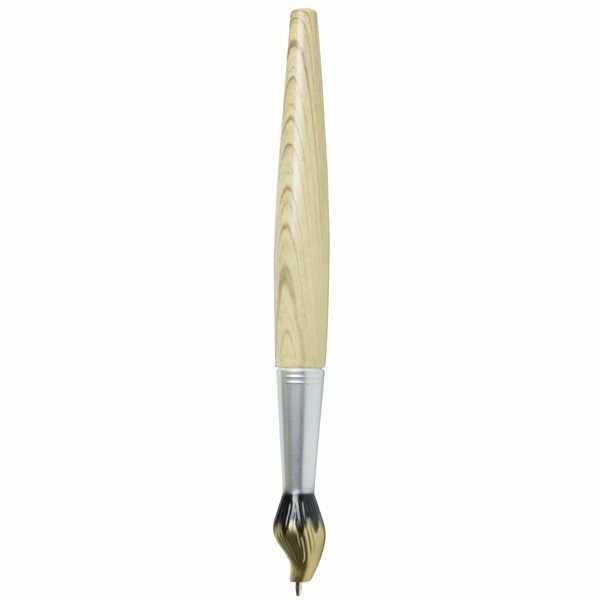 With the paintbrush pen, everything you write can be a work of art. Giving out novelty promotional pens that look like unique shapes or objects is a great way to leave a lasting impression. Want to change it up? 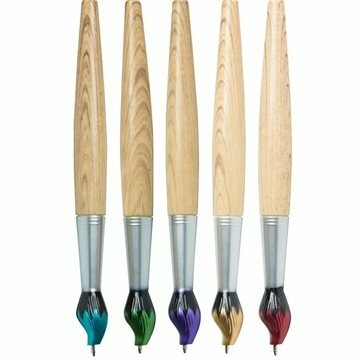 These paint brush pens feature paint at the tip that comes in green, gold, blue, purple, or red. Do you need paint brush pens in a hurry? Get free 1-day rush production when you order Football Stress Relievers from AnyPromo. Great customer service and product! 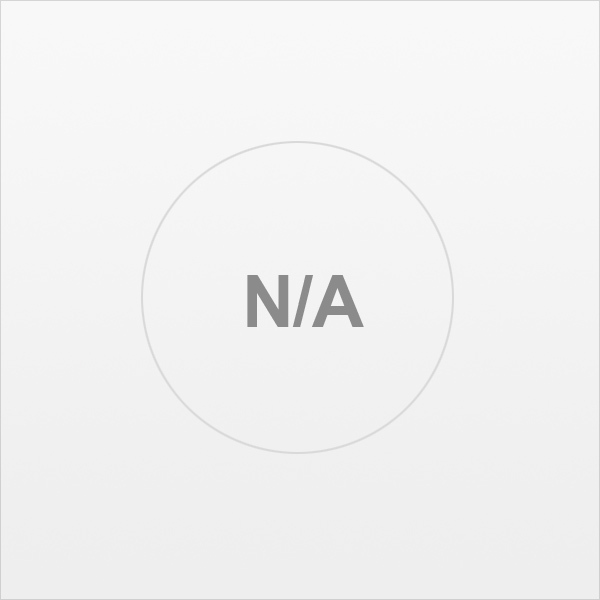 I have placed many orders with AnyPromo and am always pleased with the customer service. Highly recommended for any small business! Excellent! From the first day, through the ordering process, to the virtual mark up and now the actual product, each step seamless! The service was great. The custom product looks awesome. Will definitely be back for future projects.